FORWARD OPERATING BASE FALCON, Iraq — Gen. Douglas MacArthur had his signature corncob pipe. Soldiers got cigarettes in their C-rations during World War II. Even today, America’s war on tobacco seems to have largely bypassed the military. Now a proposal to make the forces smoke-free is drawing strong reactions from troops who have served in Iraq and Afghanistan, even though the Pentagon itself says any ban is a long way off. “Your nerves get all rattled and you need something to calm you down,” said Staff Sgt. Jerry Benson of San Bernadino, California, with the 5th Stryker Brigade in southern Afghanistan. Footage of COP Zerok being attacked with rockets and mortors. Soldiers return fire with indirect and direct fire weapons. Provided by Combined Joint Task Force – 82 PAO. Footage of Soldiers on patrol and meeting with local shop owners in Mosul. Video about snipers training with Company C, 5-20 Infantry Regiment at Yakima Training Center in Washington. Provided by 5th Mobile Public Affairs Detachment. 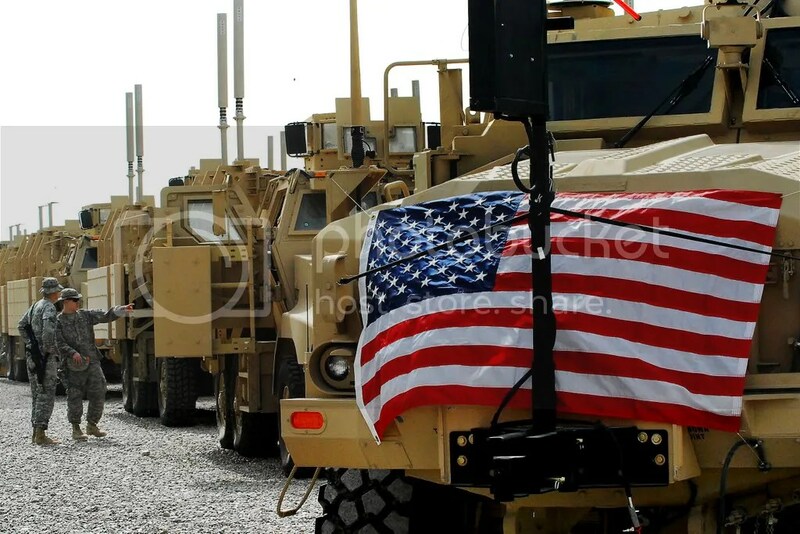 The U.S. military fielded its 10,000th mine-resistant, ambush-protected vehicle in Iraq today during a ceremony on Camp Liberty, just 22 months after it was introduced into the theater of operations. Servicemembers and civilians from across Victory Base Complex gathered among rows of MRAPs at the largest fielding site in Iraq to acknowledge the success the vehicle has had in protecting thousands of troops from blasts caused by roadside bombs.